People suffering from Asperger's syndrome are not getting the help they need because doctors are not accepting the diagnosis, it was claimed today. Asperger's - a condition similar to autism - was only recognised relatively recently by experts. Conservative MP Angela Browning says that too many psychiatrists do not have the right training to recognise it. MPs have the chance to use a debate in the House of Commons on Wednesday to discuss the issue. Patients with Asperger's have a normal IQ, but often have particular obsessions or preoccupations which lead to unusual behaviour. They can have trouble with social skills, perhaps in interpreting body language - although occasionally the syndrome manifests as a remarkable talent in a particular creative area. Asperger's patients can also have heightened sensations of touch, taste or smell which may disturb them. Their social problems may not be as pronounced as those in children with other types of autistic disorder, and it is often hard to distinguish between Asperger's and some milder examples of autism. While the syndrome was first documented in the 1940s, it is only in the 1990s that it has been classified as a distinct disorder, and psychiatrists have started to make diagnoses. Mrs Browning told the BBC: "The problem arises when Asperger's sufferers come into contact with health professionals, and psychiatrists in particular, who don't recognise, or even worse, refuse to accept the diagnosis. "The problem is that there is a generation of people in mental health services for whom it wasn't a part of their training. "I want the government to recognise that right through mental health services, from community psychiatric nurses to doctors and psychiatrists, if they haven't had a specialist training when they are dealing with an Asperger's patient, if they haven't got the experience, they should be required to refer them to someone who has." Louise Spritz's daughter Claire spent 13 years trying to cope with the condition before a diagnosis was made. Louise told the BBC: "The problem is quite acute among child psychiatrists. "Some appear to be abominally unaware about Asperger's." Are you an Asperger's patient - or the parent of one? Do you feel that the condition was overlooked by psychiatrists - or that your treatment has been good? I am the parent of a 10 year old boy with diagnosed Asperger's. The condition was initially overlooked by psychologists and psychiatrists to whom my son was referred - it was only when they could observe him in their own special unit in daily contact with his peers - other children of a similar age, not necessarily with an autistic spectrum disorder - that they could identify the triad of impairments in social interaction, communication and imagination that would enable a diagnosis. My son is intellectually gifted - an IQ of 156 - and this dual exceptionality, which is not uncommon in children with AS, made it doubly difficult to diagnose AS because the giftedness masks the AS and vice-versa. I have ADHD, the doctors refused to acknowledge it in an adult when I lived in England. I had to pay to go private and now I am able to live a much better life. If they cannot come to terms with ADHD, which is real, it is not imagined, nor used by me and others just to get attention, I do not hold out much hope for those with this syndrome. All I can say is DON'T give up. I am better now than ever! Condition was overlooked by my son's psychiatrists and he has suffered recent abominable treatment because of this. He was finally diagnosed earlier this year but even now we find there is no proper help available in our area and so we as his parents are his only carers. My son was not properly diagnosed until the age of 15 (he is now 25) despite years of referrals to educational psychologists. He was treated for years by a psychotherapist who in a way we now realise was totally inappropriate and her refusal to label him made his school life and ours very difficult. Diagnosis has been very beneficial for our family. Our marriage counsellor almost allowed my husband to destroy his job and his home waiting for him "decide" to change . 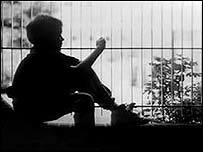 Change behaviours that he could not change without dealing directly with his Asperger's syndrome. I feel the educational physiologist let my son down at a early age saying he would grow out of it and not till he got to the age of ten did we start to get any help for him. I also feel the schools should be better informed especially infant and junior schools we have been waiting three months to even get an appointment to say we are on the waiting list to see a psychiatrist! Luckily my son's psychiatrist was very helpful. It was when my son started school that the uphill struggle began there are very limited resources for specialist help in schools and speech therapists are virtually none existent. I have found that some staff members in schools have difficulty understanding Asperger's and are not always willing to listen to the parents. How does using the label "Asperger's syndrome" help a sufferer? How does it reveal a patient's needs that couldn't be identified before the diagnosis is made? It seems to me that this obsession with naming conditions gives a little satisfaction to sufferers and their families, but does nothing to actually assist treatment.